Golf is a game that turns even the weekend player into an armchair architect, an enthusiast for the possibilities of golf-course design. 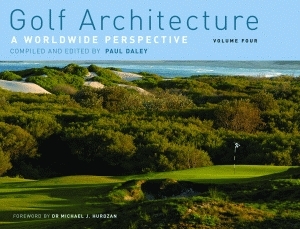 In this fourth volume of collected essays, leading golf architects from fifteen countries present their ideas, providing a much-needed international assessment of the principles and practices of golf architecture. Near the end of the nineteenth century, golf courses moved toward the hearthland, creating the need for thorough reconfiguration of the natural landscape in the clearing of trees and the cultivation of grass to create interesting holes. With the completion of the National Golf Links of America in 1911, the art of golf-course design was born. 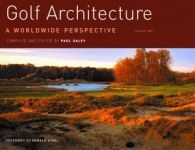 Paul Daley is the author of Links Golf: The Inside Story, which was the second-place winner for the USGA’s Golf Book of the Year Award. 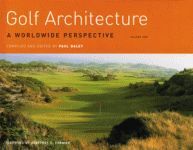 He is a member of several organizations, including the U.S.-based Tillinghast Association, the Golf Society of Australia, Australian Golf Writers Association, and the Australian Society of Authors. He is also the managing director of Full Swing Golf Publishing. 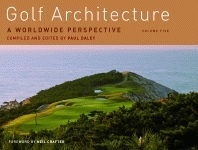 Pelican has previously published the first two volumes of Daley’s Golf Architecture: A Worldwide Perspective. Daley, a member of the National Golf Club in Melbourne, Australia, plays from a handicap of seven.